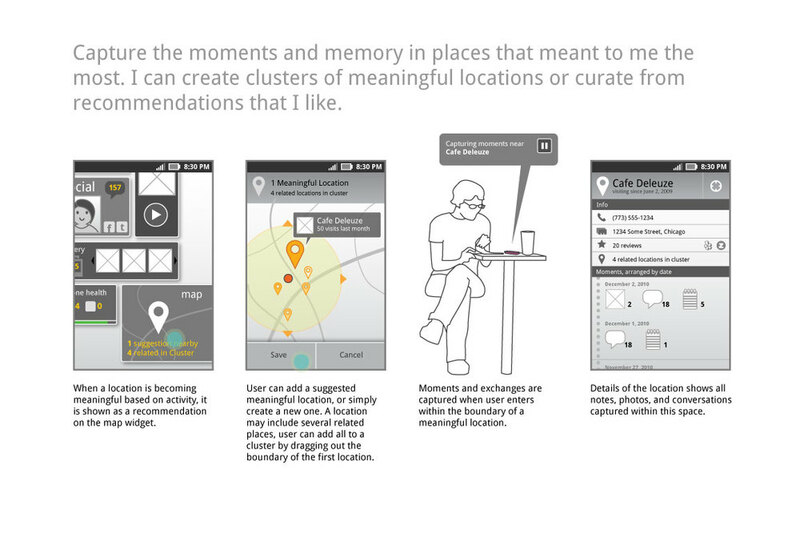 Meaningful locations is a location-sharing platform that helps user capture important moments and memories in places. Users can add meaningful locations or curate from recommendations. The moments captured in special places can be shared and collaborated on with friends and family. The technology behind the platform is contextually aware and can be applied towards commercial uses such as gaming and social recommendations. 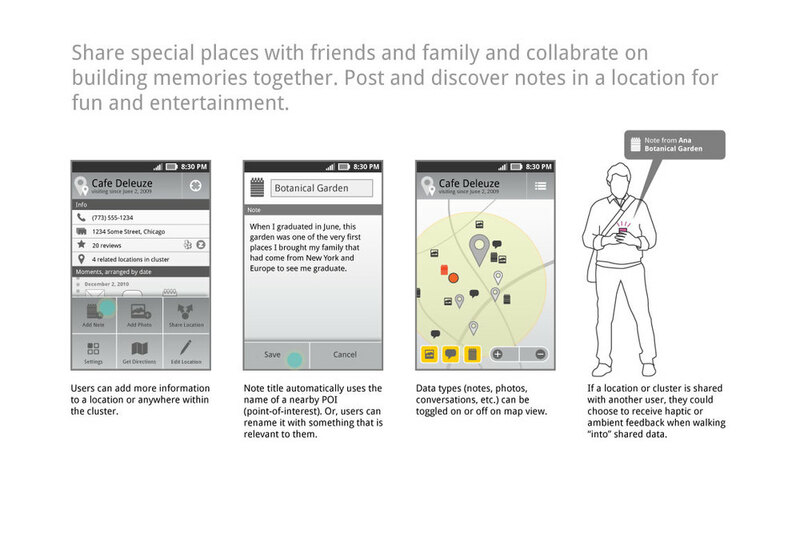 Created while working at Motorola Mobility in 2011, as part of the Context Awareness initiative. The concept was presented and green-lighted by the Senior Leadership Team as part of Motorola’s yearly product planning. My role included requirements gathering, design strategy, and early concept development. For the pitch deck, I created all designs, storyboard illustrations, and wireframes.